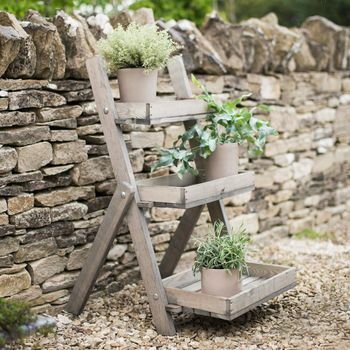 Transform your garden room, conservatory, patio or terrace with our charming Pot Ladder. Crafted in spruce, it boasts three shelves at varying heights ready for you to display pots or vases full of homegrown blooms straight from the garden. Here's another idea - why not use it as a quirky drinks tray inside or out? 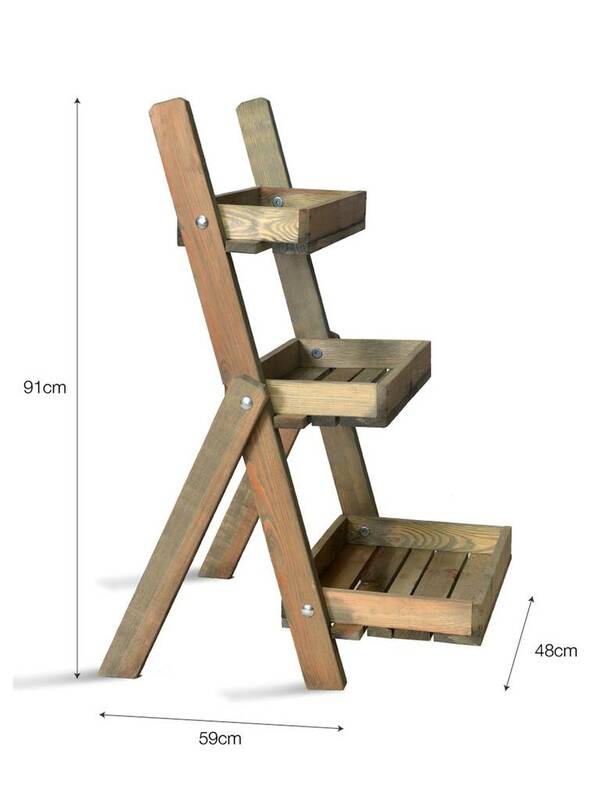 Suitable for both indoor and outdoor use, it is a versatile shelving unit with bags of rustic charm, just waiting to be useful.